(Newser) – The director of the CDC says we're close to living in a "post-antibiotic world" after an antibiotic-resistant superbug was discovered in the US for the first time last month, Reuters reports. “It basically shows us that the end of the road isn’t very far away for antibiotics," the Washington Post quotes Tom Frieden as saying. "We may be in a situation where we have patients in our intensive-care units … for which we do not have antibiotics." 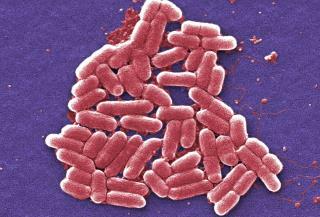 Patient zero is a 49-year-old woman in Pennsylvania with E. coli. The bacteria that infected her, while treatable with other antibiotics, had a gene—mcr-1—that is unaffected by the antibiotic colistin. Colistin is known as the last antibiotic line of defense against "nightmare bacteria." Shameful how the national news ignores the impact of Big Pharma dumping millions of tons of antibiotics for quick profits selling to meat producers who find it cheaper than raising animals in more sanitary conditions. Then it goes over to even home chicken growers buying "medicated feed." But like the worldwide epidemic from the Bush administration promoting growing heroine poppies in Afghanistan then lumping those deaths into creating a huge opiate addiction problem blamed on US doctors, here they shift the blame on super bugs that migrate from China all the way around the world to the first case here on --- US doctors. Admittedly, doctors should be required to do a lab culture whenever possible to correctly prescribe antibiotics today. But agribusiness use is the far bigger problem. The GOP will never do anything to regulate business, appropriate or not. Like fracking ingredients, the GOP would rather conceal misuse and law-breaking than protect our citizens. So stop voting for the GOP unless you are a millionaire, a big corporate executive, or think the best way to get rich is like Donald Trump in doing just what benefits yourself personally and to hell with anyone else or our country. Just utter selfishness, incessant bragging, insults and accusations rather than anything of substance. Like everything from the GOP, we hear how everything will be wonderful, trust us, but never any action. And what details do emerge show how we've been mislead again for "remedies" that enrich special interests and hurt average and poor Americans. Routine operations could become deadly? Nature's way of solving the whole transgender bathroom mess. The rest of us are collateral damage. If hospitals become the same as one-way roach traps, hospital charges will be reduced dramatically to attract business. I would not be a nurse for anything in the world, at this time in history. And for heaven's sakes, if you are pregnant and everything is going well, have your baby at home, where there aren't super germs.